Movie HD is the best App for Watching Movies and TV Shows. Movie HD works on multiple platforms such as Android, Windows, and Mac, IOS, Chrome Cast, Android Box and Amazon Fire TV Stick. 2 Do you need Activation Code? 3 How to get Movie HD Activation Code? You might have noticed that previously no signup or anything similar was required to use Movie HD but because of this, the contents of Movie HD was being stolen. Movie HD servers resources were being used by competitors resulting in downtime of servers which stops entertainment. To stop unauthorized people from stealing the content of Movie HD team had to do something. They came with the solution of Sign in using Google Account for Android devices and Activation code for other Devices. This activation code protects Movie HD from unauthorized users and keeps the app off from the bad people. 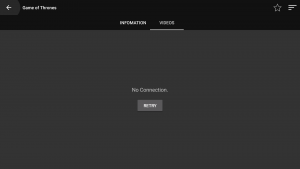 You will get a No Connection Error in the Videos Tab If you have not added the Activation code in Movie HD. Do you need Activation Code? You will not need an activation code if you want to run Movie HD on an Android device as in android devices you can sign in to Movie HD with your google account. How to get Movie HD Activation Code? Send a message to Movie HD Facebook page asking for an activation code. You will get your Unique activation code from Movie HD Facebook page within 24hrs max(I got mine in less than a minute). Use that code to Sign in to Movie HD and Enjoy. Send an Email asking for Activation Code to the following Email address [email protected]. Movie HD Team will reply to Email with an Activation Code within 24hrs(max). Don’t have a Facebook Account? One of our beloved users did not have a facebook account. Please use the Email method to get an Activation Code for your device. To manage Movie HD activation code click on the Hamburger Menu icon in the top right corner and choose “Activation Code“. So this was my guide on how you can get Movie HD Activation code for fire tv stick, android box, and other Devices. A what kind of comment? We’ll ignore it. A what kind of comment? 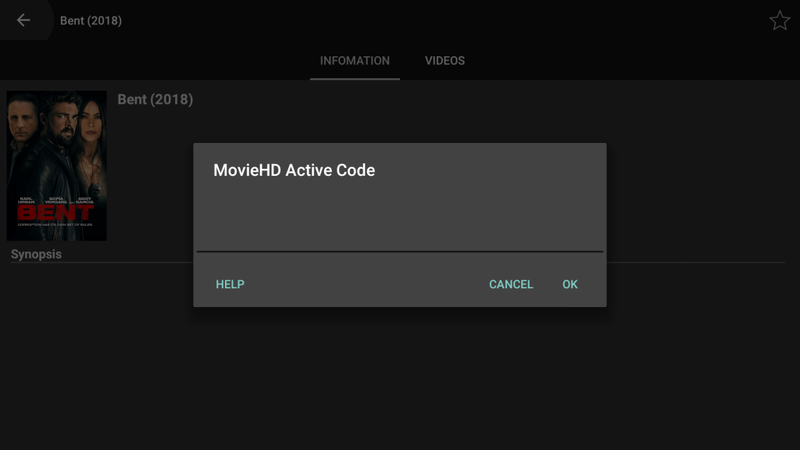 I am login to my Google account but every time I open the MovieHD app on my android box, I have to type in the activation code for there to be a connection. Is there a way that I don’t have to type in the same code everytime I open the app up? There is no save button or anything when I type in the activation code. I don’t know to up date it. Steps/ instructions please? Y I can download all of videos in HD Movie App on Android. good day. how can i fix this bug? i have a strong net connection. i tried 2 activation code.nothing change. Hi, I’ve changed phone lately and i can no longer download movies on movie HD app using my note 9. I don’t have problem downloading before with my previous phone. Hope you could help. Thanks in advance! hi i need activation code for A96s online tv and how to active ? Has anyone got an activation code because even if when u go on Facebook asking to send a code they don’t even respond even on the email so what do you do?